Look at this hot 7 Passenger SUV that just arrived here at Auto Group of Louisville, a 2014 Audi Q7 3.0T quattro S Line Prestige. This fantastic Luxurious People Hauler is loaded with all the great features that you would want on a luxury car, such as, Heated And Cooled Front Seats, Heated Second Row Seats, Quad Climate Control, Power Liftgate, Keyless Entry and Go, LED Daytime Running Lights, HID Xenon Headlights, Heated Steering Wheel, Tri-Pane Panoramic Moonroof, Navigation, AM/FM/CD/XM/Bluetooth/HD Radio, Front and Rear Parking Sensors, and so much more. 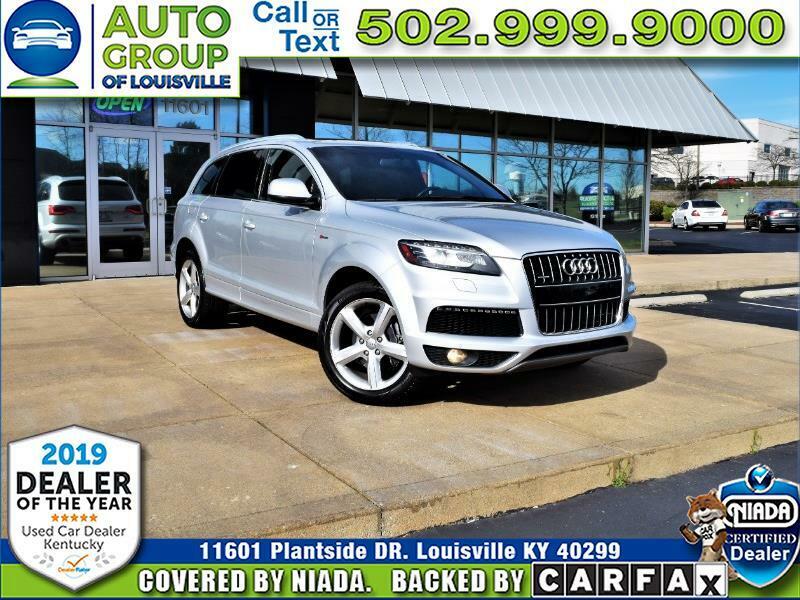 Hurry by 11601 Plantside Drive in picturesque Jeffersontown Kentucky and let one of our Great, Friendly, Knowledgeable Customer Care Specialist show you this Super Luxurious Audi Q7 quattro S Line today before someone else hauls their family home in it.